321 Gang: The Blog - 321 Gang Inc.
We help implement compliant, traceable solutions that manage a wide range of requirements to achieve faster deployment. 321 Gang is a Platinum and 7-time award winning IBM Business Partner. Quite a number of federal government programs have been adopting SAFe 4.0. The challenge has been to consider whether to use 3-level SAFe, 4-level SAFe, or some modified combination. There is also additional complexity in managing multiple contracts on the same program, manage changing scope, and to work a portfolio of one program to support all the compliance needs. Can Hardware Teams Outperform Software Teams When Adopting Agile and SAFe®? Many have discussed, and some have questioned, how Scrum and agile principles apply to non-software disciplines. Can they apply? Will they provide benefits? 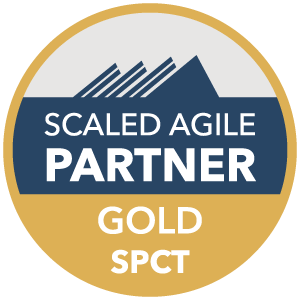 We’ve been working with a large program that has gone “all in” scaling and applying agile. They build complex defense systems with hundreds of mechanical, electrical, and embedded software engineers and significant compliance demands.